“What’s wrong with the sky?” the child of one of my Hong Kong friends asked on a recent visit to the US. She replied that outside China, the sky is usually blue. Hong Kong on a good day is still beautiful. But most days here are not good days any more. 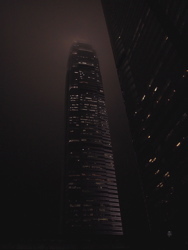 Ok I admit it, Hong Kong pollution has beaten me. As much as I love the place, I can’t ignore the toxic smog. Today is white grey, with the Kowloon mountains and most of the harbour hidden by fumes. I shudder and reach for my inhaler. I have spent more than two weeks in the last two months in a ward in a private hospital, hooked up to a slow drip. I came back from Malaysia with lungs darkened by the smoke from the forest fires across the straits in Indonesia, where criminal magnates are clearing land. 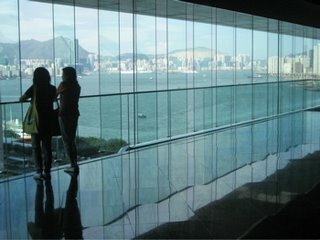 But Hong Kong’s lethal mix of power station stench, motor fumes and factory stink almost finished me off. A crisp youngish pulmonary specialist, gave me the once over with a stethoscope, and packed me off to hospital for a crash course in intravenous antibiotics. At first it wasn’t too bad. I was really there so they could monitor the drug impacts. People fed me and washed my clothes. They let me out in the afternoon and evenings to walk around the Peak . In between, I could lounge in my own room watching CNN or using broadband. I asked one of the nurses whether this was what being married was like. After a week, even the novelty of having Nuns pray for me started to wear off. They let me out for indifferent behaviour. But within a week the condition returned and I was re-admitted. This time it was not so much fun. The drug doses were increased, building up to a twelve hour infusion. My veins started to resist and began to swell and hurt. When I was on the point of passing out from drug overload, the doctor called off the infusions. It took me about a week to get over from the second hospital term. I am not sure whether my long suffering travel insurance company will ever recover. The good Christian hospital where I lodged, wanted cash in advance and lots of it. I won’t be back for a while. I’ve been offered good jobs here, some of which I have hankered after for a decade. But I won’t be taking them. 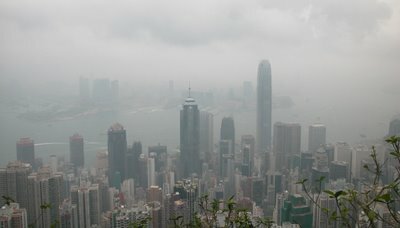 A Hong Kong think tank reported recently that if the Hong Kong government acted now, air pollution would improve by 2010. It’s not soon enough for me. Next week, I leave for Australia, where the minds may be smaller, but at least the air is clean. Monty Python once boasted of a “Happy Holiday Home for Pets Pie Company”. 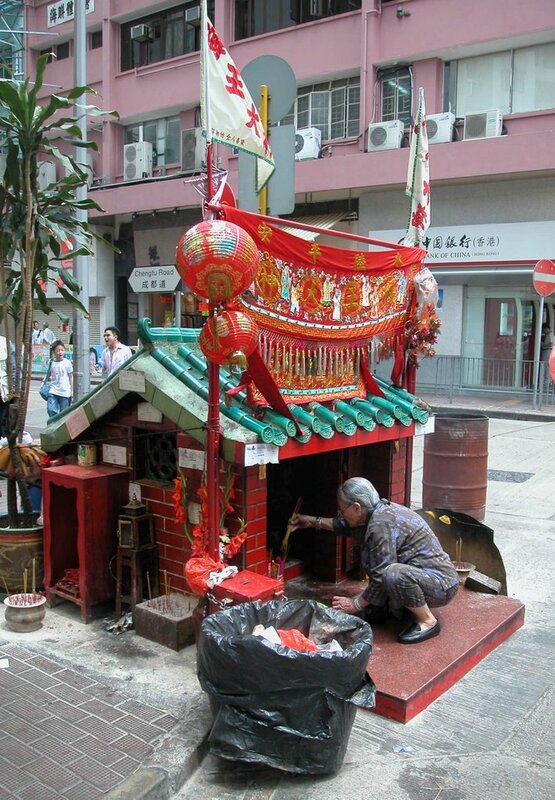 Hong Kong had a “Don’t Forget Pets Crematorium Centre”. Or it did until this week, when it was closed after repeated complaints from angry residents who claimed it belched foul smelling smoke into their flats. 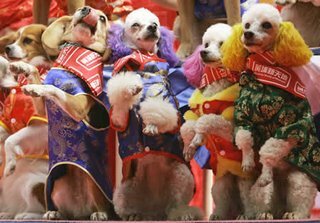 According to the South China Morning Post, six government departments had tried, and previously failed to close the centre. Apparently the Environmental Office merely suggested the company install a better filter and a longer flue. This didn’t impress one local who said she didn’t like the idea of inhaling “bits of dogs and cats”. A letter writer to the paper subsequently claimed the crematorium owner had been “hounded” by such residents who shouldn’t have been in the building anyway. 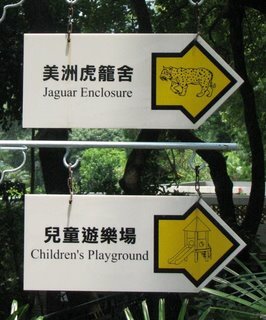 It’s free to go to Hong Kong Zoo. It’s run by the Hong Kong government. The cages of Lemurs, Toucans, Chinese crocodiles and Burmese Pythons are housed in immaculate architect designed cages surrounded by meticulously gardened jungle. The resident Jaguar has a mid levels pad which includes its own gym, spa bath and sun deck. It’s true that his accommodation is not as big as he might have had back home in South America, but hey in Hong Kong he gets to eat prime quality, imported beef and gets to look at the city lights every night. 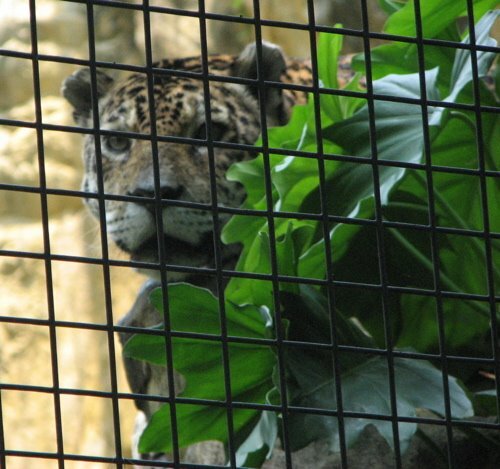 The Hong Kong humans drive down from their apartments to gaze at the caged Jaguar while he gazes back at them. They both breathe the same Hong Kong air, and its choking them all. The Civil Service led Hong Kong government is doing a fine job on the small but important elements of the urban environment. The streets are swept clean. The parks are mass planted with flowering trees. Even the public toilets are spotless. This all a bit of a shock to anyone who has recently been to under developed countries like England, which used to run Hong Kong. It’s hard to believe that he former colony’s slick public transport and its gleaming airport were designed and built by the same folks responsible for the odd and dysfunctional bus service to the shambles at Heathrow. But the Hong Kong civil service government hasn’t the strength and perhaps the insights needed to address the larger issues. It’s good at gardening but is struggling with air pollution. As an unelected body, it lacks a democratic mandate to take on the literally filthy rich…Hong Kong’s government sanctioned but privately owned power stations. A Hong Kong government agreement protects these gross polluters from competition in this tiny but exclusive market, in doing so feeding them continuing profits. China Light and Power‘s website has a nice green frog and it boasts of its environmental awareness. CLP even claims that by 2010 , five percent of its generation will come from renewable sources, which seems a negligible if not laughable proportion. Particularly since CLP is powering up its dirty, coal fired stations to export even more electricity to China’s polluting industries. (45.7% increase last year). Hong Kong Electric meanwhile smugly says it strives to exceed its customers environmental expectations. HKE has commissioned a wind generator of Lamma Island even as it expands its conventional generation capacity. Both companies are politely resisting calls to quickly clean up their corporate acts. 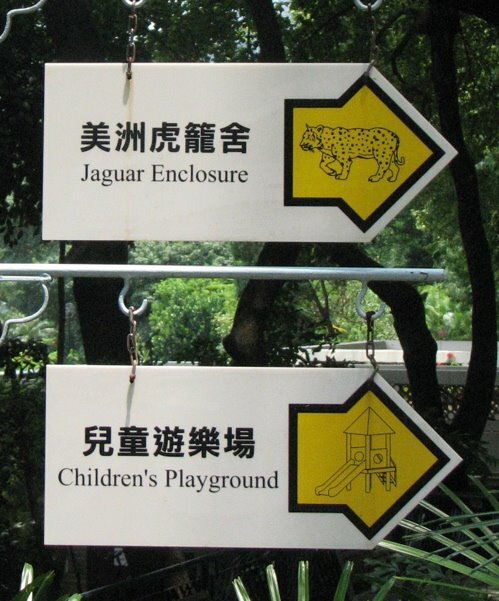 Their shareholders, are after all the whos who in Hong Kong’s real zoo . 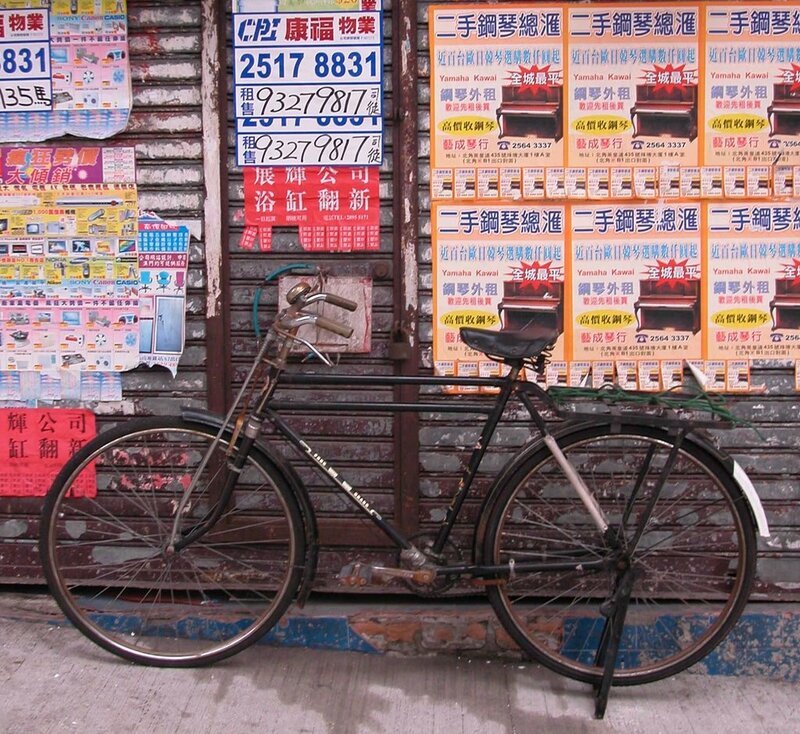 Hong Kong used to be a place where you would go to shop. My Dad got a very fine Japanese Transistor radio from here back in the sixties when cruise ships disgorged thousands of heat affected westerners looking for a bargain. A host of seedy little shops flourished, stacked with the latest cameras, radios,electric shavers and later CD players, pagers and mobile phones. There were no fixed prices. Perspiring Australians could haggle, confidently believing that almost any agreed price was a good one because they didn’t have to pay Australian sales tax. The salesmen, who earned less in a week than a decent meal cost in a tourist hotel, were always keen to come to a deal. This was what Business schools call a “win-win” situation. Certain Australian tourists felt good because they thought they had saved money by browbeating an Oriental. The local salesmen felt good because they knew that these ugly foreign devils were usually willing to pay more than the fixed price in the department store around the corner. Everybody went home happy. But what would hard working mainland factory workers buy during their visit? A little less than usual it seems. According to the South China Morning Post, Golden Week went a little leaden this year with business dropping by twenty percent, as a result of high hotel prices and unscrupulous business rip offs turning mainland tourists away. Maybe they should have shopped at Hong Kong’s huge air chilled malls where you can buy anything from to HK$3,000 flourescent sneakers to shaggy Shetland Island sweaters. Such items would be unique on the assembly line! particularly if one is going commando in extremis in the Orient. conscious, likely to be wearing US$500 Hermes jeans and carrying a bag that could be an unusual piece rather than just big brand”. This may be so but Joyce fashions seem to be designed for other than the common herd. The Joyce store in Central recently featured a window display with stick thin mannikins clinging to an upturned grand piano, suspended from the ceiling by wires. Maybe Joyce should have lent her a handbag and taken her to lunch some time. She could have kept the empty cans. May Day has always been a great day for contradictions. 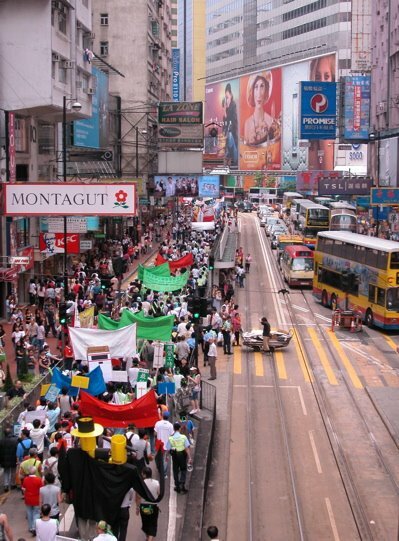 Consider the case of the Capitalist loving Communist unions who are not nearly as popular as they were in the heroic days of the Cultural Revolution when they could fill Hong Kong streets with chanting Red Guards. Many of those revolutionaries have since moved into Italian suits, flashing Swiss watches as they speculate on the stock market. Only the diehards march on May Day in Hong Kong these days. As disciplined Communists, they support the Chinese Communist party’s local front group, Democratic Alliance for the Development and Betterment of Hong Kong (DAB). DAB loyally supports the Beijing appointed Hong Kong leadership; a group of senior civil servants and billionaires who believe that workers wages and conditions should be suppressed for the good of their family companies and, of course, the economy. This leaves the local communist activists in a rather tricky position when it comes to attracting oppressed members of the working class. Hong Kong’s hillsides were ablaze this week as ceremonial Ching Ming fires predictably got out of hand. More than one hundred such wild fires were reported and extinguished by the vexed authorities. Ching Ming, or clear and bright day, allows Chinese families to visit the graves of Grandma and Grandpa and burn paper gifts which subsequently appear the nether world. To meet this ghostly demand, shops have been doing a good holiday trade selling everything from paper suits to a paper two door refrigerator (which I thought was remarkably sensible, if Chinese Hell is anything like the Christian one). I saw one family burn a very nice terrace house, complete with two servants to work there. I don’t know how the servants felt about the prospect of eternal dishwashing and cleaning, but labour laws are lax here and can be expected to be no better in Hell. Grandpa got a paper mahjong set, presumably so he could sit around with his mates every Sunday, drinking paper beer and driving the household gods mad with the perpetual clicking of the mahjong tiles. Grandma got a very snappy Mini Cooper to cruise around the afterlife. 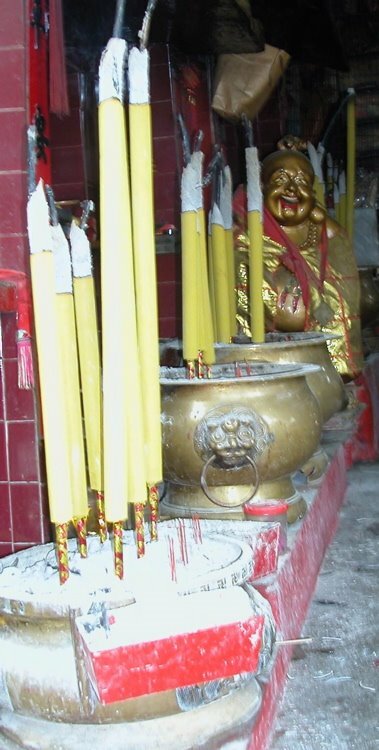 I hope there’s more parking in Hell than in Hong Kong, or she might find herself pursued forever more by Parking Police wielding ethereal tickets. Hong Kong Police meanwhile, had a big, full dress funeral for one of their number who was gunned down in a shoot-out. The hearse of the dead “hero” was flanked by a phalanx of police motorcycles which swept through city streets clearing the way from the Universal Funeral Parlor in Hung Hom to the burial at Gallant Garden. The official police story of shooting went like this. Bad cop has a gun used five years ago in a police shooting. He decided that he needs another gun and the best way to get it is to hold up two armed, uniformed constables. 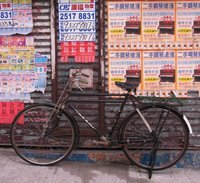 He stages the hold up in one of Hong Kong’s busiest tourist areas. He times it to coincide with a major anti triad sweep involving hundreds of police only a few streets away. Good cop, the one who benefits from the Police funeral, is killed while his mate is seriously injured. The bad cop is also killed and is therefore conveniently unavailable to give his side of the story. Elected legislators, who are in a minority in the still undemocratic Legislative Council, found the official police story just a little difficult to believe. They want a public inquiry, which the police say really isn’t necessary. So I went looking for a paper Commission of Inquiry to burn on Ching Ming day. Apart from anything else, the thought of incinerating paper barristers and judges appealed to me. But I couldn’t find a paper Commission on sale anywhere. I can understand that. Once these fires are lit there is no telling where it will end. The smog is so bad in Hong Kong that hundreds of runners in the recent marathon collapsed and had to be revived. One man died. The Government announced that the marathon organisers had acted properly. The smog..well er.. that is supposed to be mostly generated by mainland China, so its someone else’s problem. We stepped out for a few beers at the Globe, a little expat pub in Hong Kong’s Soho district. The place was packed with suits playing darts..a game which I have always considered a blood sport when practised in crowded, smokey and drunken conditions. 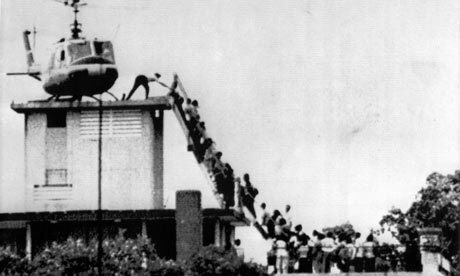 Then it was down to Gunga Dinh‘s for a few curries. The pommy architect, we were with, kept calling the Indian head waiter “Gunga”. I don’t think our pommy friend knew his colonial literature all that well. The waiter did. He just smiled with his gold teeth and overcharged us. Walking down the hill afterwards, we saw a Chinese man dressed as Elvis. I said,” There you are. We thought he was dead. But he’s been in Hong Kong all the time!”. We ended up at the Foreign Correspondent’s Club where they have late night jazz on Fridays in the basement bar. The band was as they say, “smoking”. The Filipino bass player looked like Bo Diddley. Maybe he’s here, staying with Elvis. We caught a A$5.00 cab ride home through the damp back streets, glittering with pink, yellow, red and purple neon.